Disclosure: I received compensation from Greco for this post, but (as always), the opinions expressed in this blog are 100% my own. Valentine's Day is all about showing love, and I love my ALL boys (my husband and my three sons)! 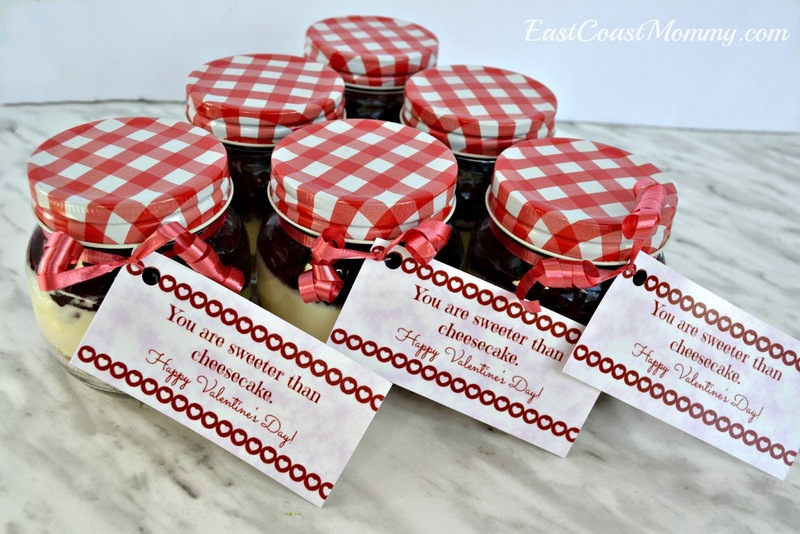 So in my house, we like to celebrate Valentine's Day as a family. 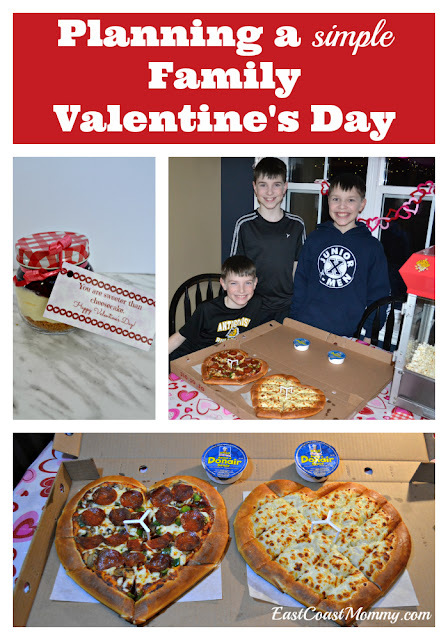 Friday night family movie night is a weekly highlight in our house, so a simple Valentine's Day movie night is the perfect way for us to celebrate Valentine's Day. Today, I am sharing my favourite tips, tricks, and shortcuts for planning the perfect EASY Valentine's Day family date night. Step one is to set the stage with a few decoration... and it doesn't take much effort. 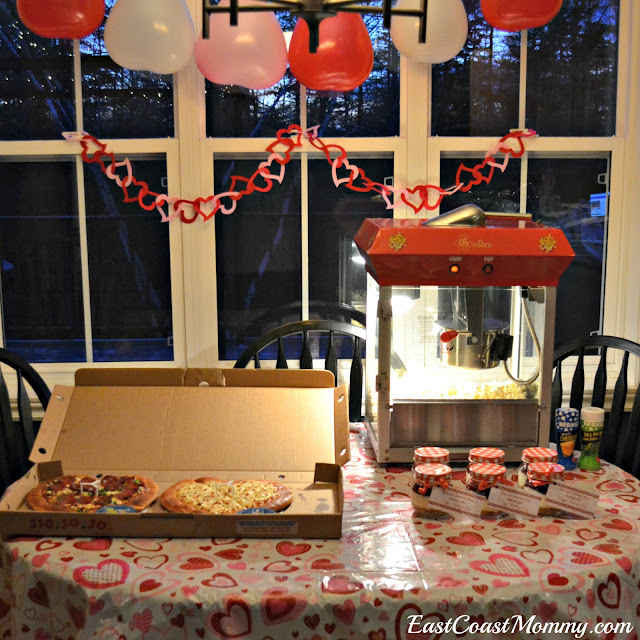 A dollar store tablecloth and garland, and a few heart shaped balloons are all you need. Then, you'll need a "zero effort" supper. How cute are these heart-shaped pizzas from Greco? 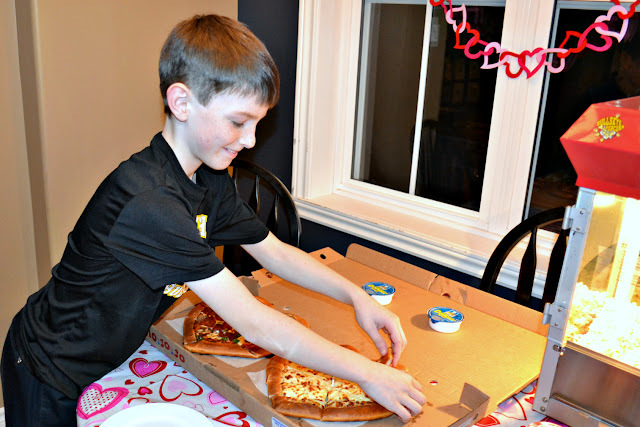 We got a pizza and garlic fingers, and they were both delicious. Supper doesn't get much easier than ordering pizza! 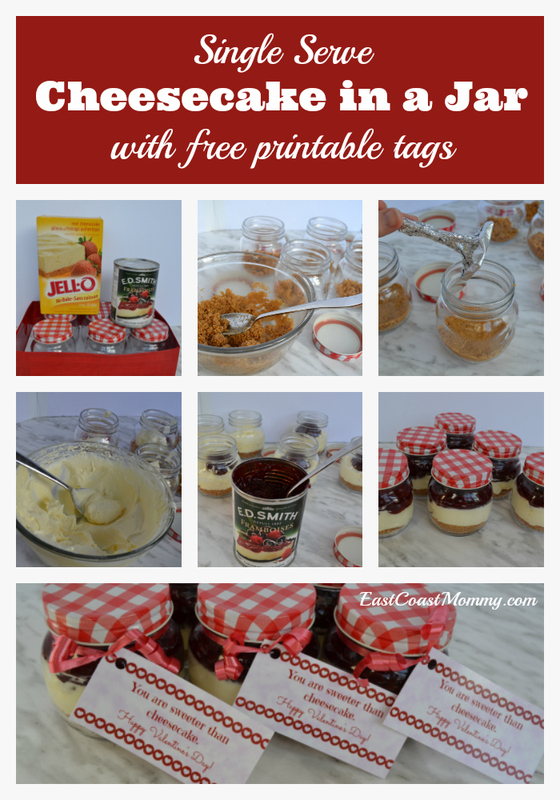 4) Top with fruit, and refrigerate. I also designed cute tags for my jars which you can download for free. 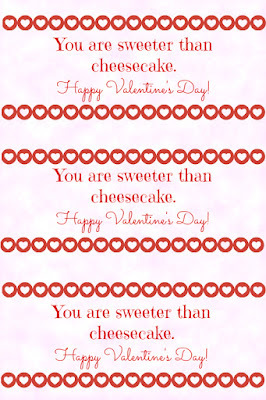 To download these "You are sweeter than cheesecake" tags: click on the photo below, right-click, save it to your computer, and print it like a regular 4x6 photo. 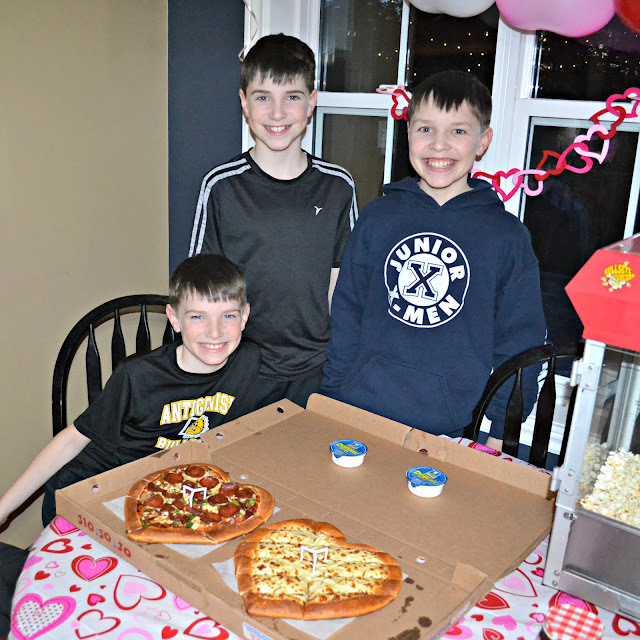 As you can see from my boys' smiling faces, the heart-shaped pizza and garlic fingers were a hit... and I LOVE when I don't have to cook supper. 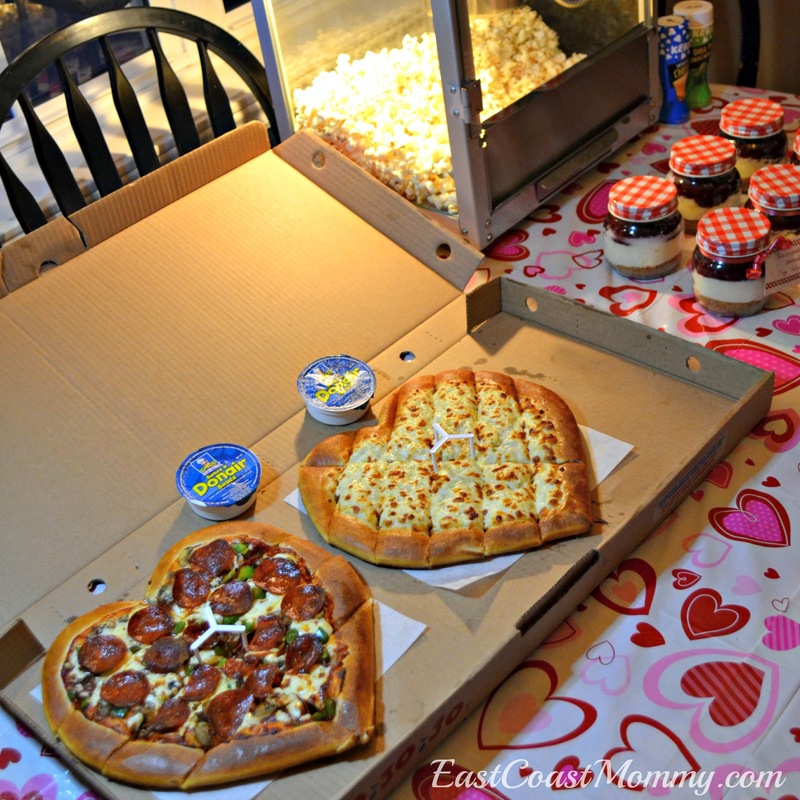 How do you celebrate Valentine's Day? Do you enjoy a romantic dinner for two, or do you prefer a family celebration? However you choose to celebrate... 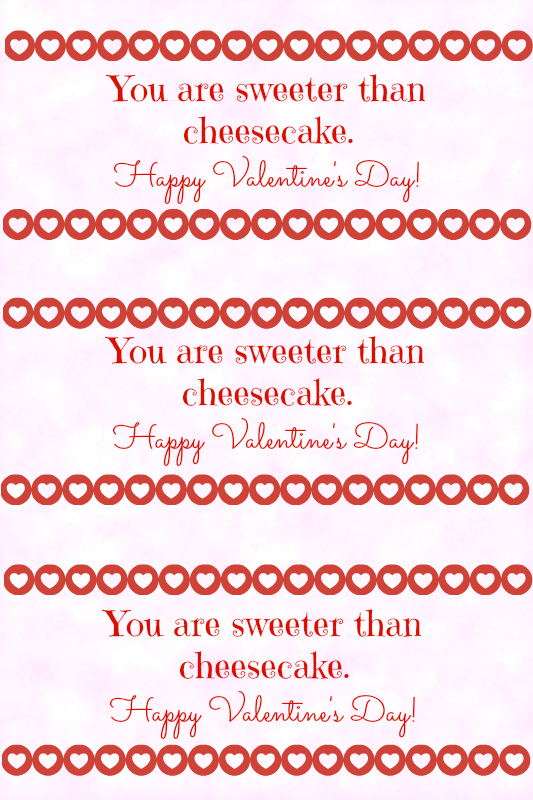 I hope you have a Happy Valentine's Day with the people you love!